How to watch Inazuma Eleven: The Seal of Orion: Season 1 (2018) on Netflix Netherlands! 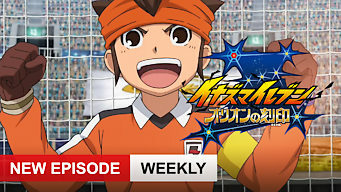 Sorry, Inazuma Eleven: The Seal of Orion: Season 1 is not available on Dutch Netflix, but you can unlock it right now in the Netherlands and start watching! With a few simple steps you can change your Netflix region to a country like Japan and start watching Japanese Netflix, which includes Inazuma Eleven: The Seal of Orion: Season 1. We'll keep checking Netflix Netherlands for Inazuma Eleven: The Seal of Orion: Season 1, and this page will be updated with any changes. 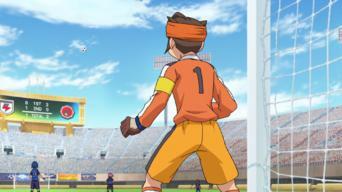 Inazuma Eleven: The Seal of Orion: Season 1 is not available in Netherlands BUT it can be unlocked and viewed! Comprised of the nation's top youth soccer players, the newly chosen members of Inazuma Japan set their sights on the ultra-competitive world stage. They've proven they're good enough to represent their country, but do they have what it takes to be the best in the world? 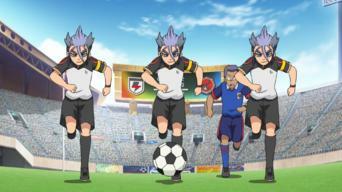 Season 1 of Inazuma Eleven: The Seal of Orion has 21 episodes. Because different Netflix countries have different availability for episodes, you'll need to check the episode listing below to see which are available in the Netherlands. 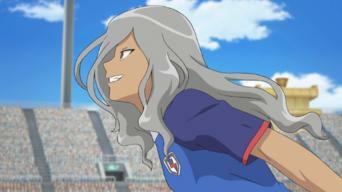 The 19 members of Inazuma Japan are officially announced, including a new addition from Russia, Mitsuru Ichihoshi. They prepare to take on the world. 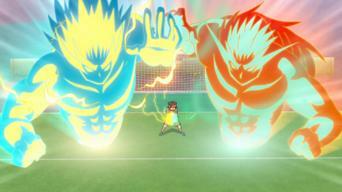 Inazuma Japan's first opponents are the members of Red Bison, from South Korea. 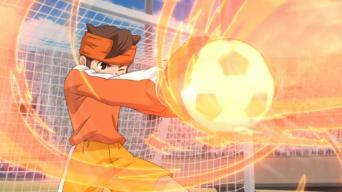 The match quickly turns rough and Mamoru loses sight of the ball. 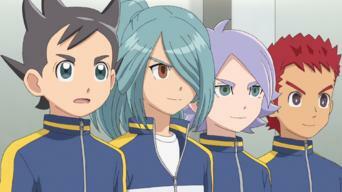 With Goenji out of commission, things don't look good for Inazuma Japan. 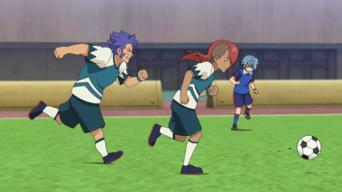 Hiroto and Haizaki assault the enemy goal as they clash with one another. Everyone prepares for the upcoming match against Australia. 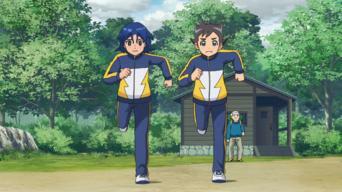 Ichihoshi invites Mamoru to train with him but he seems to be up to something no good. Mamoru pumps up the team before their next match, against "satanic" Australia. 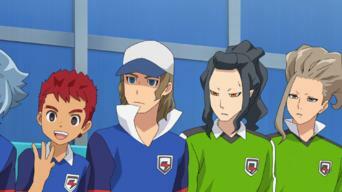 But without Goenji they lack power and soon give up the first point. 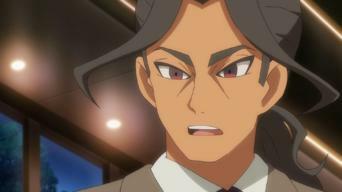 Kido realizes that Ichihoshi is a "Trojan Horse" and asks Hiroto and Haizaki to help him take out the trash. Meanwhile, Australia adds a new player. 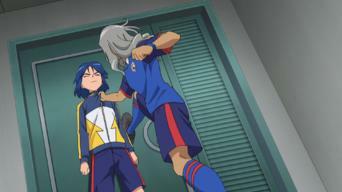 Kido's plan to handle Ichihoshi is succeeding, but Asuto doesn't like it. Meanwhile, it's up to Mamoru to stop Australia's special technique. The players begin special training to defeat the team from Uzbekistan. Ichihoshi watches from the sidelines, but Endo later goes to speak with him. 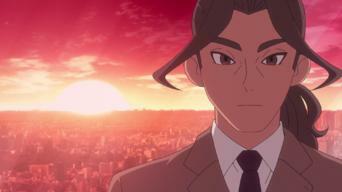 Nozaka returns to Inazuma to rescue the team from its perilous situation. He manages to take a point from Uzbekistan with a cunning stratagem. 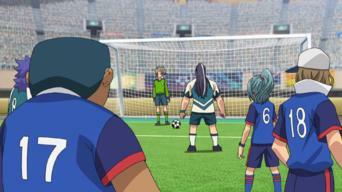 A clever ploy by Inazuma causes the Uzbekistan juggernaut to show that their energy is finite after all. Later, Zhao Jin Yun reveals a secret. The team prepares to face Saudi Arabia with some special training and a special meal. 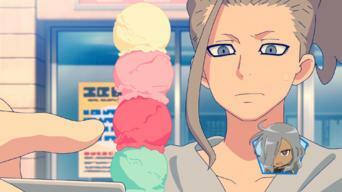 Ichihoshi's conflicting loyalties continue to trouble him. 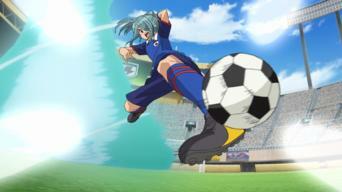 Avoiding Saudi Arabia's fierce attack, Inazuma Japan earns 1st point. 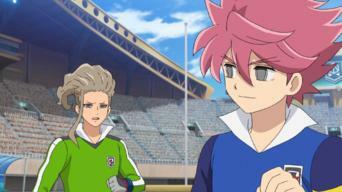 Worried about Hikaru, Nosaka takes unusual action against impatient Ichihoshi. 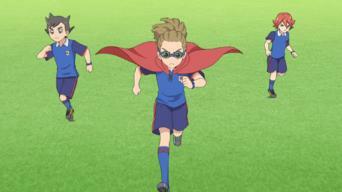 The team learns the truth about Nosaka's plan. Ichihoshi reveals details about his past and expresses regret at the pain and suffering he's caused. Three team members are interviewed by a soccer magazine and the individually-tailored questions they are asked are both idiosyncratic and revealing. 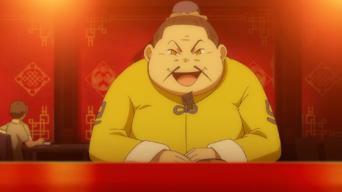 Zhao makes an announcement about Kobun, who decides to reveal his identity to the team and tell them about how he and Zhao first met. 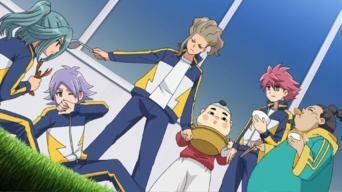 Ichihoshi's turned over a new leaf, impressing his teammates but causing some concern. Asuto invites him to visit a waterfall but they soon get lost. With the coach in the hospital, the team must face China without him. But they soon spot a strangely familiar masked man on the opposing team's bench. With a new catching technique, Inazuma Japan's stopped the other team from scoring but has trouble getting goals of its own. The coach puts Goujin in. With only minutes remaining, each team struggles to score, leaving the tally at 2-1 in China's favor. 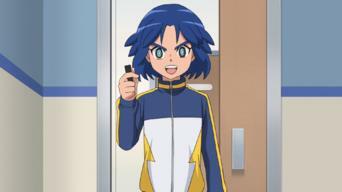 Ichihoshi gathers info and hatches a plan. 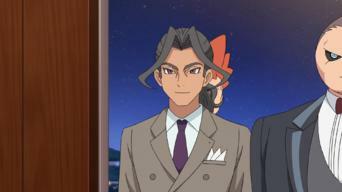 With China's defeat, Inazuma Eleven's coach returns. The team celebrates being whole again and prepares for the announcement of their next opponent.